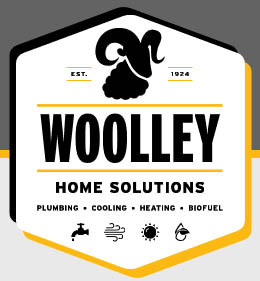 Woolley Home Solutions, originally founded as a coal company in 1924, has been meeting the home comfort needs of New Jersey homeowners for more than 90 years. Over the years, we’ve evolved to provide our customers with the best in modern home comfort solutions—from coal and heating oil to natural gas conversion and a full array of air conditioning and indoor air quality services and products. As times have changed and technology has improved, so has Woolley Home Solutions. Whether you need reliable, affordable heating oil delivery to get you through the cold winter months, trustworthy air conditioning installation or repair for those hot summer days, or a punctual, honest plumber for emergency situations. Woolley Home Solutions is the complete home comfort services provider New Jersey residents have turned to since 1924. We are a locally-owned company with deep roots in the Maplewood community. The secret to our success for 90 plus years isn’t much of a secret. We return calls, show up on time, and provide honest, high-quality service to every client along with fair pricing. As a family-owned and operated company, we believe in earning the trust of our clients and living up to the principles and values on which our company was founded. Our mission is simple—to be your trusted total home comfort solutions provider. Contact us today to discover the Woolley difference for yourself.